Keto Whipped cream is super easy to make and it is the perfect topping for Keto pies, keto desserts and of course Keto hot chocolate! With just 3 ingredients this keto whipped cream can be whipped up in just a few minutes! 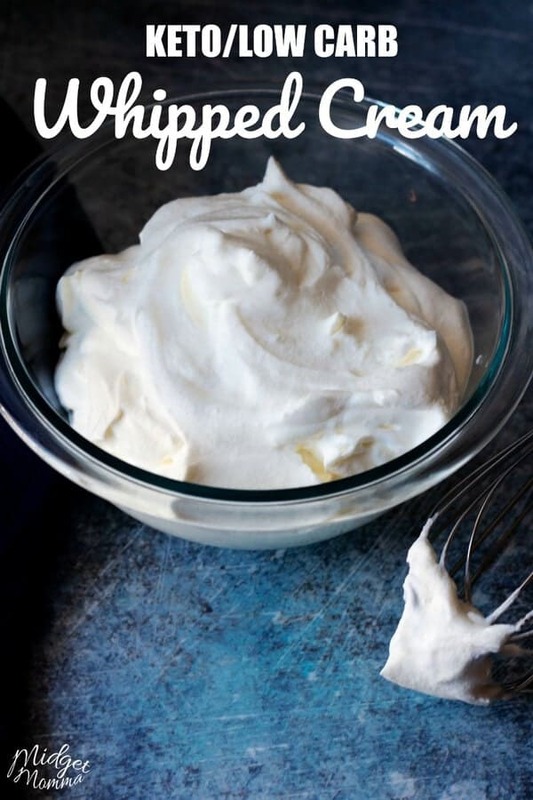 To make Keto whipped cream all you need is heavy cream, liquid stevia and vanilla extract. 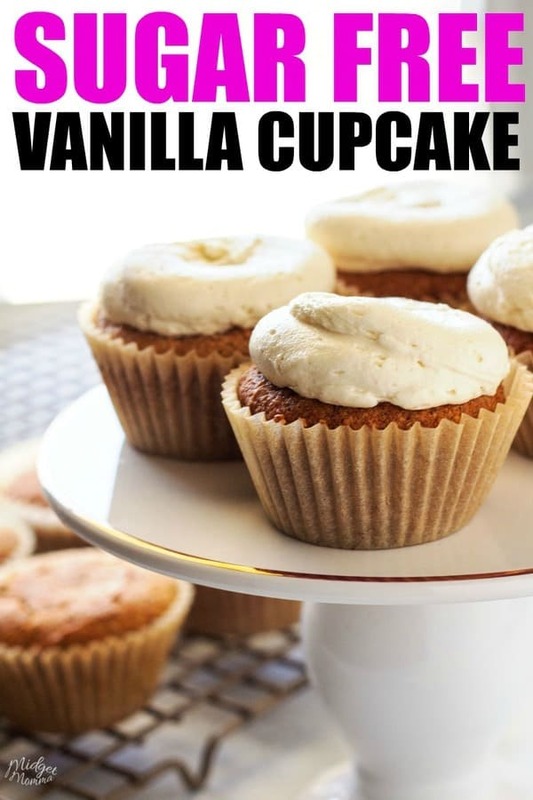 Personally I like to use homemade vanilla, but the store bought will work as well. If you are not a fan of pyure stevia, then you can also use your favorite brand of liquid Stevia or liquid monkfruit also works well. I love my KitchenAid Mixer, it makes making homemade Whipped cream super simple! If you do not have a KitchenAid Mixer, I highly suggest adding one to your kitchen! You can also use a handmixer to make whipped cream, but I will admit, I don’t like having to hold the bowl when making it, so I always just use my KitchenAid. I like to make a batch of whipped cream and then store it in the fridge. I use a rubbermaid container and then just put it in the fridge to keep it cold. Then I just scoop some out of the container as I need it. 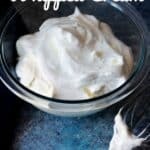 Keto Whipped Cream is easy to make. 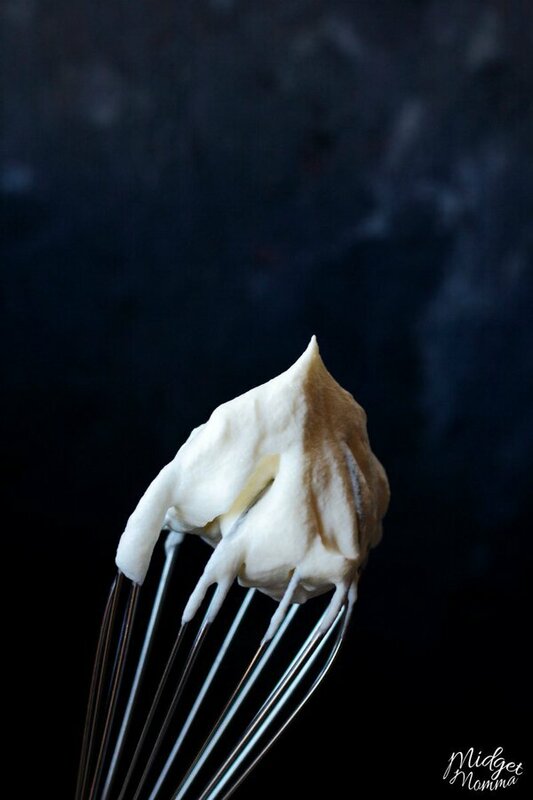 With only three ingredients, you will have tasty homemade keto whipped cream in just a few minutes! 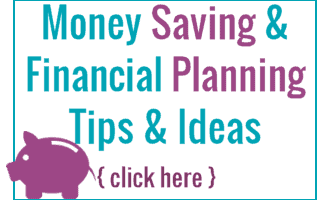 Pour the heavy cream and stevia into the bowl of your mixer. With the whisk attachment mix the cream mixture on high until soft peaks are formed. Reduce the speed to low and stir in the vanilla just until its combined. 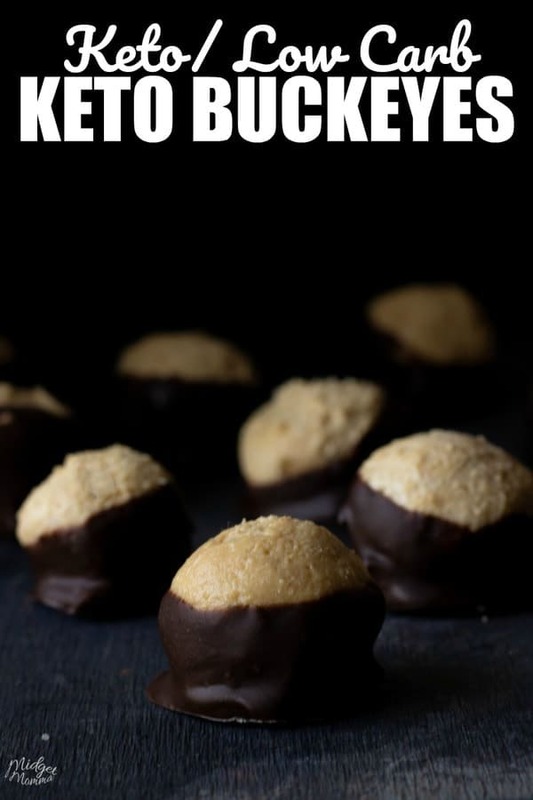 Tasty recipes to use with Keto Whipped Cream! 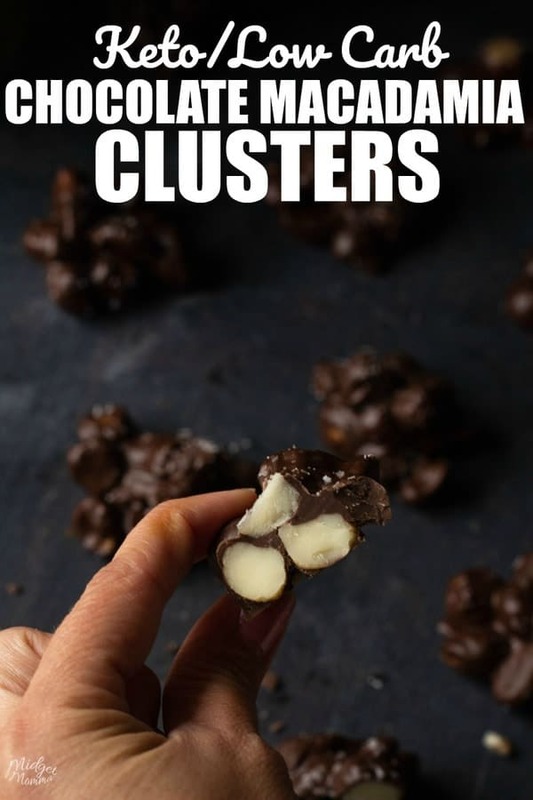 Get Our Newest Keto Recipes! 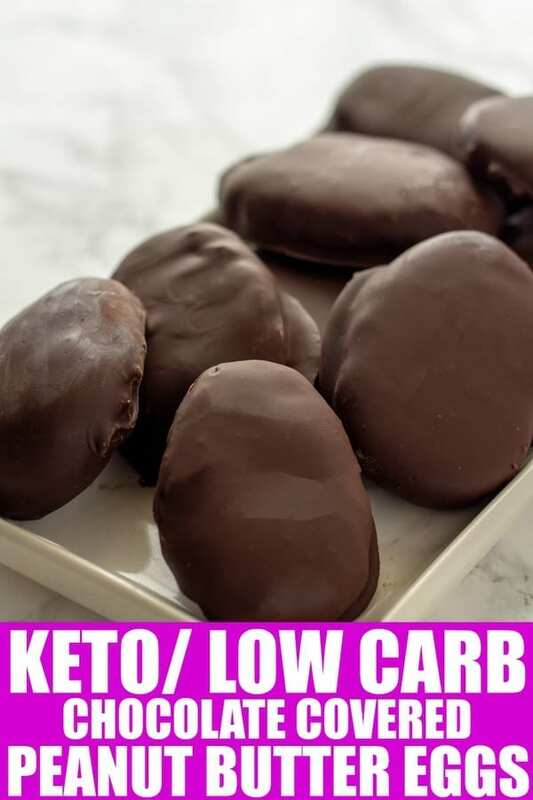 Subscribe to get our Newest Keto Recipes by email. 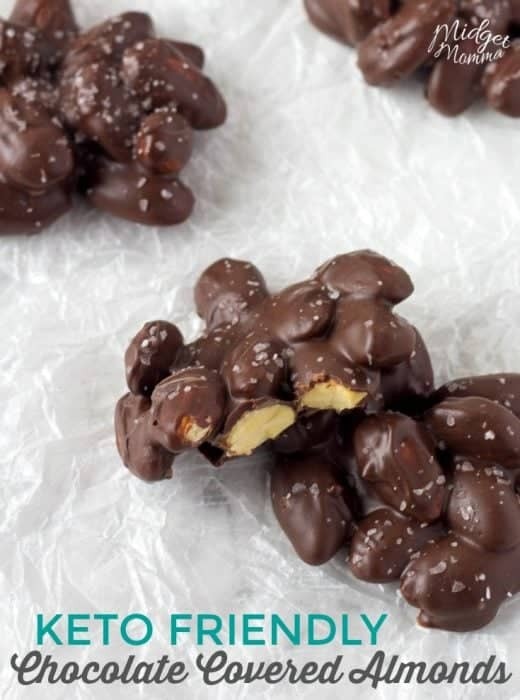 More Keto Recipes you will love! Be sure to check out our Keto and Low Carb Restaurant Guides!